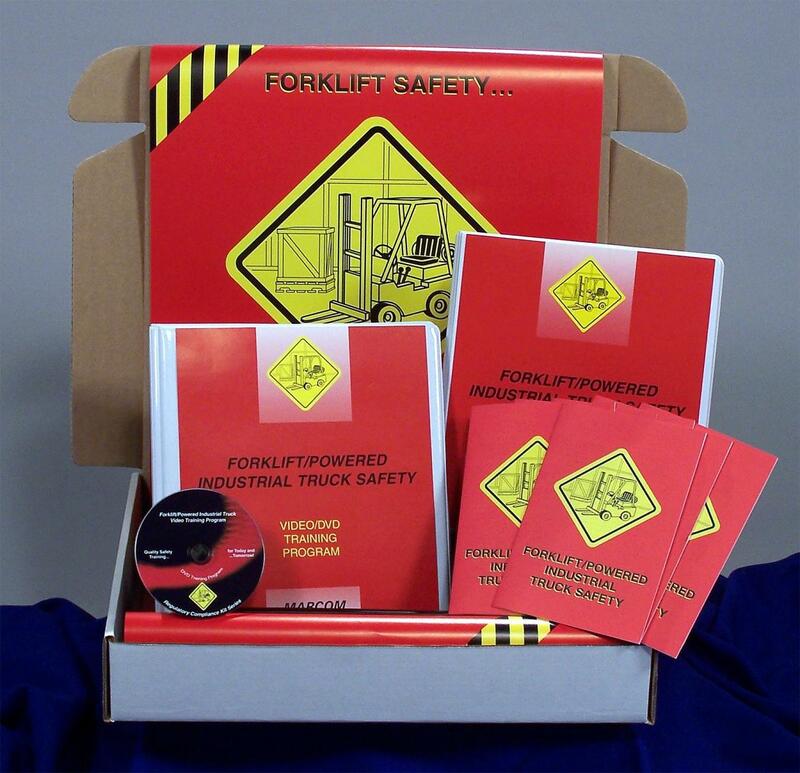 MARCOM's "Forklift/Powered Industrial Truck Safety" Regulatory Compliance Kit™ has been specifically created to involve employees in the process of understanding forklift operation and to help facilities in fulfilling the OSHA Powered Industrial Truck Standard (29 CFR,1910.178) training requirements. Materials in the kit include a Video Program, a Compliance Manual, 5 motivational Posters, and 30 employee booklets. Forklifts and other powered industrial trucks are indispensable in many companies. They are rugged, powerful tools that save time, money and effort. But the same qualities that make them so helpful can also make them dangerous. Using powered industrial trucks results in over 100 fatalities and over 35,000 serious injuries each year. When used incorrectly, or if forklifts and other trucks are not properly maintained, they can do significant damage. The Compliance Manual provides a detailed summary of the information needed to comply with the OSHA Standard, as well as a "fill-in-the-blank" Written Plan. The posters in the kit remind employees to work carefully and safely with this equipment. The videotape and employee booklets include information on OSHA's certification process, the seven classes of industrial trucks, equipment checkout, a forklift's "Stability Triangle", safe operating procedures, lifting and lowering loads, trucks and loading docks, equipment maintenance, and more. The video program in the kit comes with a comprehensive leader's guide, reproducible scheduling & attendance form, employee quiz, training certificate and training log.